UPDATED: Tue., May 29, 2018, 7:07 p.m.
JEFFERSON CITY, Mo. – Missouri Gov. Eric Greitens, a sometimes brash political outsider whose unconventional resume as a Rhodes scholar and Navy SEAL officer made him a rising star in the Republican Party, resigned Tuesday amid a widening investigation that arose from an affair with his former hairdresser. The governor’s brashness had alienated some GOP legislators even before his affair became public. Senate Leadership Fund President Steven Law said the resignation could help unify Missouri Republicans and free up money. 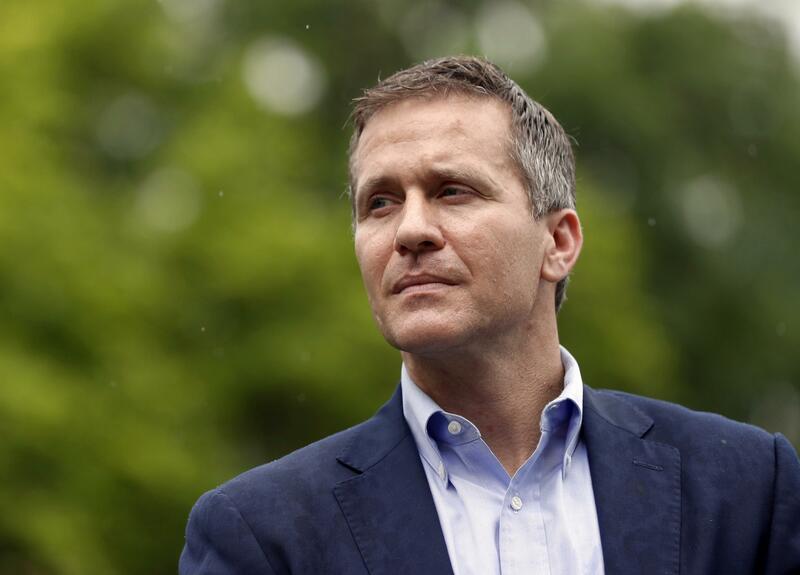 In January, the woman’s ex-husband released a secretly recorded conversation from 2015 in which she described the affair, which happened shortly after Greitens created an exploratory committee to run for office. The woman later told the House committee that Greitens restrained, slapped, shoved and threatened her during a series of sexual encounters that at times left her crying and afraid. Greitens said the allegations amounted to a “political witch hunt” and vowed to stay in office. But a report from the House committee created a firestorm, with both Republicans and Democrats calling for his resignation. His departure will elevate fellow Republican Lt. Gov. Mike Parson – a former state lawmaker and sheriff – to the governor’s office. The governor, who also served as a White House fellow and wrote a best-selling book, won an expensive Republican primary in 2016, then defeated Democratic Attorney General Chris Koster in the general election to give Republicans control of the governor’s mansion for the first time in eight years. Some considered him a potential future presidential contender. Published: May 29, 2018, 3:46 p.m. Updated: May 29, 2018, 7:07 p.m.